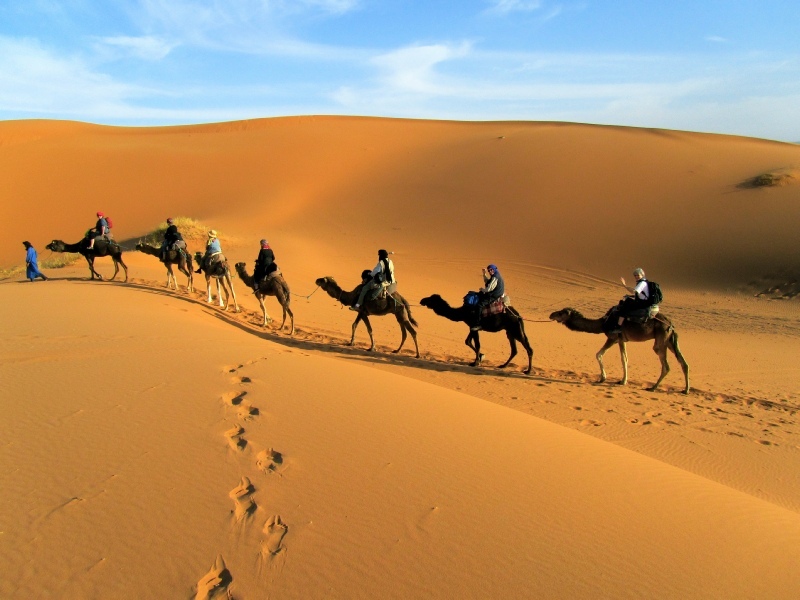 Camel trek: Riding a dromedary in Sahara is one of the life dreams that any one would like to do once he or she get to Sahara desert. 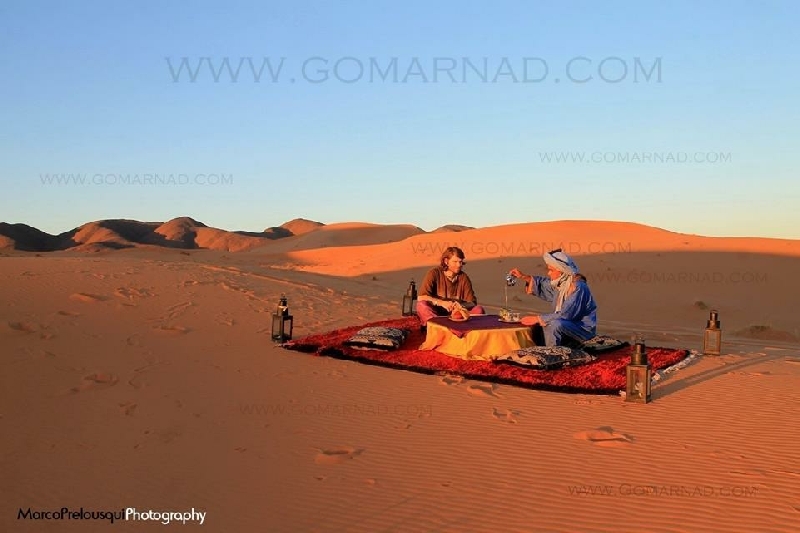 We organize camel trips in Merzouga for sunset, sunrise or both to experience one of the beautiful sunrise/sunset in the world over the biggest sand dunes in Morocco and Sahara overnight in the Luxury Sahara desert camp. 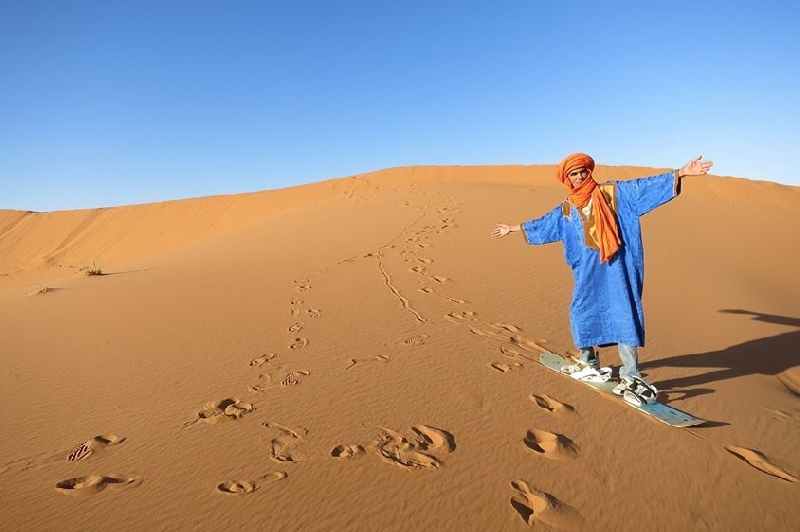 Sand Boarding: Close to the camp, in erg chebbi dunes of Merzouga, you can enjoy your free time and have fun during your stay the camp with sand boarding activities climbing the high dunes and sliding down? it?s a Sahara desert fun. Picnics and Berber cooking lesson: A desert picnic during the day out of the camp in the middle of Merzouga sand dunes or in the safsaf river (where nomads and water) a great place to view other great Merzouga desert landscapes and a place to practice some desert cooking classes?the traditional Berber pizza cooked on the fire and sand and the Berber tagine are the great plat to experience. For those interested in camel trek in desert , check out CAMEL TREK page for more information. We offer camel trek from 1 hour to overnight camel trek including sleeping in desert camp.